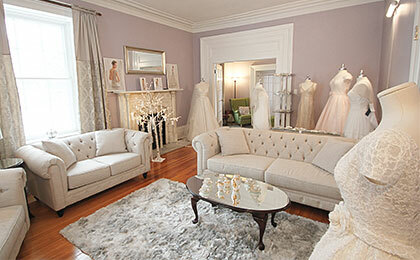 Brides know that finding their dream wedding gown is the beginning of the entire vision for their wedding day. Make that vision a reality at Lidia’s Brides. Located in the grand rooms of a historic home in downtown Fergus, the store provides the ultimate in personal service. The intimate setting book by appointment-only ensures a relaxed environment. The incredible selection, everything from boho-chic to mermaid sophistication to ball gown glamourous in designer labels are hand-selected by the mother-daughter duo of Lydia’s Brides. Bridesmaids and guest dresses too. Your special day begins here.